We just received our Amazon Echo Look (it’s currently by invitation only), and here is our review based on our initial impressions. First and foremost, this thing is much smaller than we ever would have imagined. Second, it is a full-on Amazon Echo, with Alexa and all of her tricks packed into its diminutive body. And third, it’s both more, and less, of a privacy nightmare than we’d initially thought it would be. Lastly, it’s great for selfies! 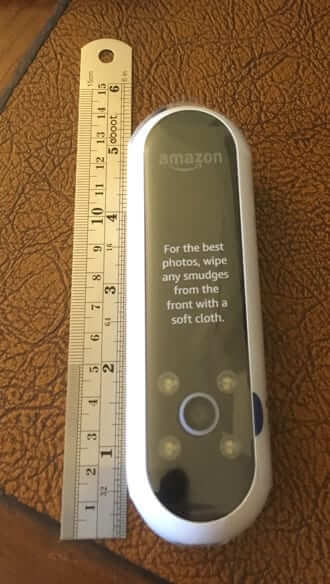 The actual body of the Amazon Echo Look measures in at a lilliputian 5 1/4 inches. Once attached to the stand, the Echo Look measures just 6 1/2 inches from the bottom of its stand to the tippy-top of its body. Setting up the Echo Look is even easier than earlier versions of the various Echos (Amazon Echo, Echo Dot, and Echo Tap). 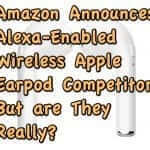 True, you have to download a whole new app (the Echo Look app, which is separate and distinct from the Amazon Alexa app, even though the Look is driven by the very same Alexa as other Echos). We say that it’s even easier because gone is the need to first connect your mobile phone to an ad hoc network created by the Echo. …and the setup automatically completes. Here is exactly what you are agreeing to when you hit “Begin Setup”. Then of course there are the multi-page terms and conditions, which we won’t recount here, but which you can read here. You are agreeing to all of these when you click on “Begin Setup”. Let’s assume that you want to move forward (although we have done so so that you don’t have to). After hitting “Begin Setup” you actually don’t need to do anything else at all in order to complete the setup. It all happens automatically. 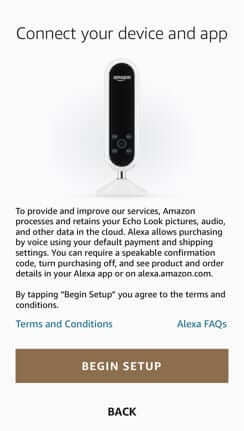 The app on your phone communicates with your Echo Look, and suddenly your Look is on your wifi network and ready to go. At this point you now have a new Alexa-in-a-device and you can tell your new mini Alexa all the same things as you would tell Alexa on any other Echo device. But, this new Alexa can do even more. 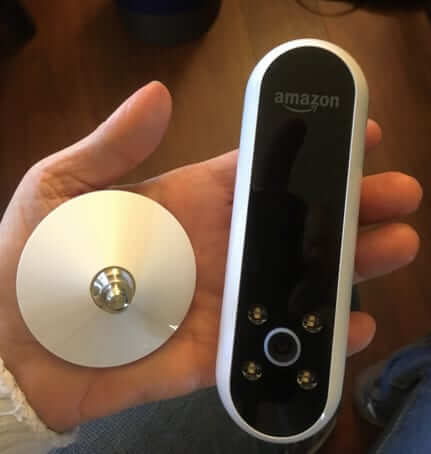 Once you have your Echo Look set up (Amazon says to put it somewhere at shoulder height, such as the top of a dresser – for this article and review we placed it on top of a computer monitor), you will be prompted to take a first picture. 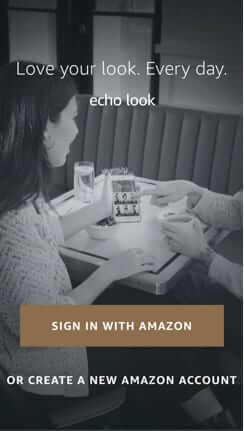 You use the Echo Look app on your phone to do this, while your Echo Look uses the camera that is built into your Echo Look. It’s helpful to think of your Look as a remote camera which you control with your phone (because that’s in fact what it is). 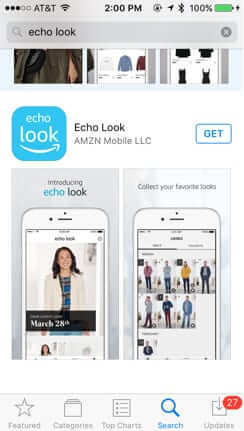 Standing in front of your Echo Look, with the Echo Look app open on your phone, you will see on your phone what the Echo Look camera is ‘seeing’. 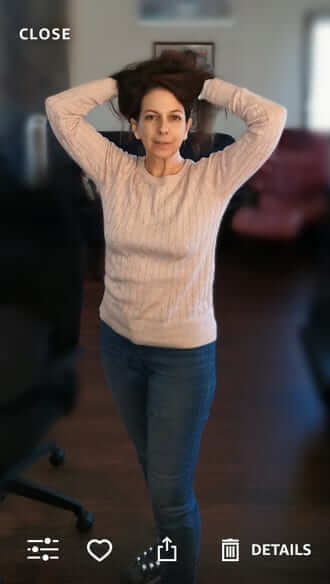 Assuming you like the positioning (if not, adjust the Look and/or yourself), you simply say “Alexa, take a picture.” The light ring around the camera lens on your Look will then flash blue, and you will hear two “clicks” telling you to get ready to have your picture taken (like a countdown timer, but a very short one!) Then the four LED flashes that surround the lens blink on, and your picture is taken. Being able to tell Alexa to take your picture, after you get yourself positioned just right, by far beats out holding a selfie stick! We think that this makes the Echo Look the best selfie device ever. That said, $199 is a lot to pay for a selfie device, so we’re not recommending that you get one just for selfies! So here’s the thing. Every. Single. Picture. and Video. gets uploaded to Amazon’s cloud storage, and, as we mention above, they retain them for so long as you don’t delete them. We wrote earlier this year about the privacy nightmare that is the Echo Look. 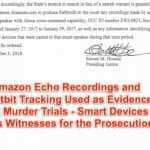 And we stand by that assessment, especially given that Amazon now overtly says that they retain all images, audio and other data that is uploaded from the Echo Look. That said, there are two things that you can do to help protect your privacy if you just have to have an Echo Look. 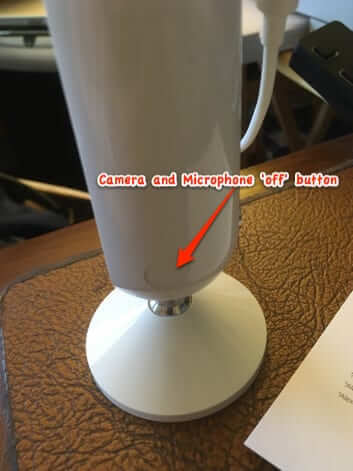 The first one is to make a point – indeed a habit – of turning the microphone and camera off whenever you are not actively, intentionally using your Echo Look. 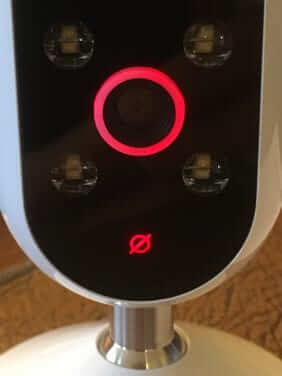 When you turn off the camera and microphone, the light ring around the lens turns red, and a little circle with a line through it shows below the lens to indicate that the audio is also turned off. 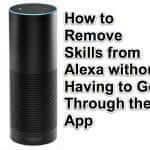 Note that when you do this the audio is completely off, so you will not be able to summon Alexa at all. The second thing to do to help protect your privacy is to delete all photos and videos in the Echo Look app immediately after using them. 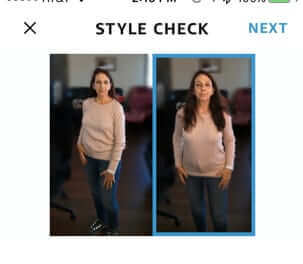 In order to use the Style Check function, you just go to the Style Check section of the Echo Look app, and select two pictures from your Echo Look image gallery, and then upload them to let Amazon’s style folks tell you which outfit looks better, and to make suggestions. We have not tried this, but it looks something like this if you pretend that there are actually two different outfits represented in the two pictures. Will we ever use it to let Alexa and her team of style minions critique our wardrobe? But for taking selfies at home it sure beats a selfie stick. We just received our Amazon Echo Look (it's currently by invitation only), and here is our review based on our initial impressions. First and foremost, this thing is much smaller than we ever would have imagined. Second, it is a full-on Amazon Echo, with Alexa and all of her tricks packed into its diminutive body. And third, it's both more, and less, of a privacy nightmare than we'd initially thought it would be. Lastly, it's great for selfies!